How to & Demo of GM’s Launch Control & No Lift Shift in a ZR1 Corvette and the ZL1 Camaro. We tested out the capabilities of the GM launch control & no lift shift on a modded ZR1 (15lbs pullies & full exhaust) and a stock ZL1 Camaro a while back and wanted to show you how it performed. 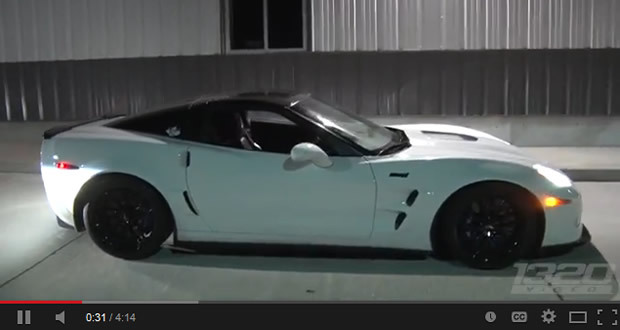 In the end, the launch control was fairly useless on the ZR1 because it needs some better tires for the power it has, but the no lift shift was a blast, especially when it came to the sound! We hadn’t seen a how-to video that explained it that well, so we decided to make our own! Enjoy! [VIDEO] Feast Your Eyes on the 2018 Corvette ZR1 Convertible! [VIDEO] 2019 Corvette ZR1 Making an Official Nürburgring Nordschleife Timed Run?